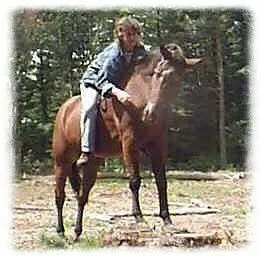 The cornerstone blocks of a relationship with a horse are essential to lay down correctly. If foundation steps are missed then the holes in that foundation will cause issues down the road. Just as a house with an incomplete foundation cannot stand during a storm, the same applies with horses. Too many horses are found to be missing these cornerstone blocks and the results are not pretty nor acceptable. MIND ♥ BODY ♥ SPIRIT of Horse. 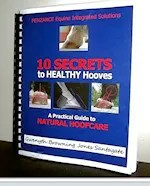 Available for horse owners and professionals on all services listed as well as NATURAL HOOFCARE & EQUINE HOOF PATHOLOGIES. Gwen is retired from active Hoofcare at this time but is still consulting for and working with owners’ veterinarians and hoofcare providers helping to restore and rehab pathological hoof situations such as Laminitis, Founder, White Line Disease, Extreme Thrush, Canker, Unknown Lameness issues and more. 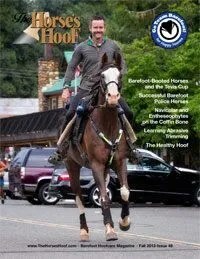 Please go tohttp://www.barefoottrim.com for Natural Hoofcare information. DISTANT WHOLE HORSE CONSULTS are all-inclusive and focus on nutritional needs, alternative and complementary medicinal needs (homeopathics, herbs, oils, bodywork, distant energy work as well as from client in real time as instructed), behavioral assessment when indicated and husbandry attention. We ask our clients to complete a detailed intake form including photos, xrays (if available currently) and any veterinary assessment summaries. The intake is reviewed carefully and reply consult will include all solutions that are apropos to the individual with instructions as to application in detail. Client is requested to keep in contact with updates every couple or few days so changes can be made if the need is indicated. Hoof photos will be remarked upon with suggestions for the farrier or trimmer and subsequent photos are to be returned after trimming/hoofcare for a followup consult within 30 – 60 days. REAL TIME CONSULTS for those in the Lee, Collier and Charlotte counties are available as well. On farm and will travel. 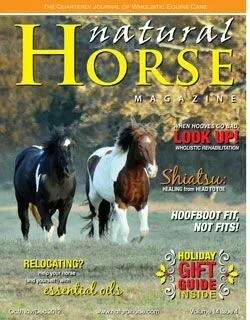 GO HERE: https://www.youtube.com/user/PENZANCEEquine to see how I work with horses of varying issues and challenges. Teaching clinic at CHA Regional Conference with horse that wouldn’t stand still at mounting block. Helping Libby overcome her fears so she could be blanketed for upcoming storm. She was blanketed that evening with no force or restraint and stayed warm and dry during the storm. 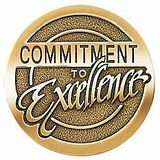 PENZANCE’s ECBT© is a method of teaching and working with horses (and their owners) using classical and operant conditioning that changes the way they think. Changing the way they think changes the way they behave. 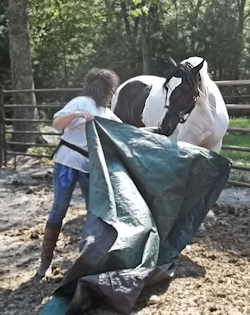 “Disrespect” and other behavioral issues are eliminated with desired behaviors replacing them and embedded into the horse’s responsive thinking in a totally non-forceful and non-aggressive manner. Most of Gwen’s teaching is done in an ‘at liberty’ situation. If there are pain issues then those are addressed and remediated before any therapeutic training is done. PENZANCE’s ECBT© teaches and trains horses using cognitive thinking exercises and skills to facilitate progress towards desired goals. 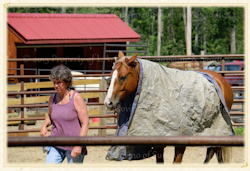 Works with the owner to maintain a high degree of collaboration and empathy with the horse. READ MORE ABOUT EQUINE COGNITIVE BEHAVIORAL TRAINING HERE. 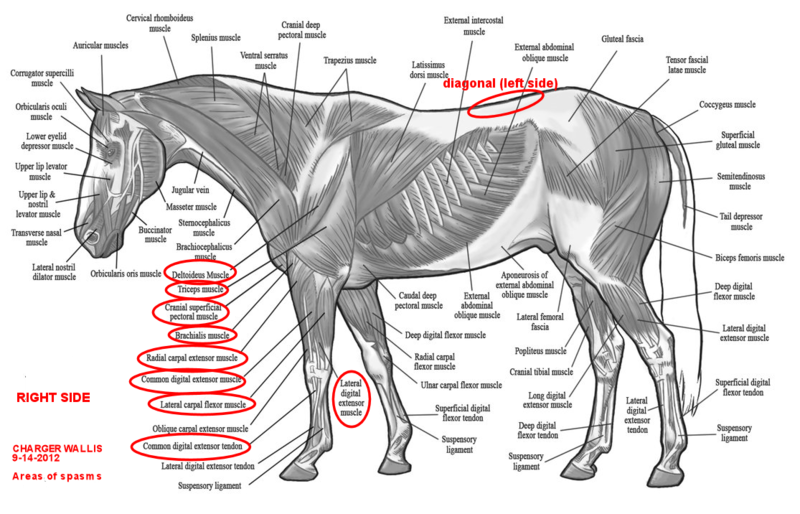 to teach them simple massages that will help keep the horse in perfect health as well as help prevent imbalances that can spoil the horse’s performance. We are now located in Cape Coral, Florida on a beautiful farm in the North Woods. The Penzance Horses have settled in nicely to their new home and are ready to go to work! PENZANCE also offers online coaching & ministering that is amazing and available for you no matter where you are! Gwen has worked with clients from all over the world in this capacity. Want to find out more? Just write to gwen.santagate@gmail.com for more information and get started today! 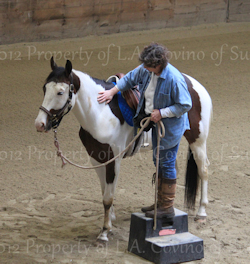 Gwen is available for workshops, clinics and presentations for your barn, club or organization. Tailored to YOUR needs and interests.Call (239) 573-9687 or email: gwen.santagate@gmail.com for more information.